In the deep mountains of western Fujian, on the upper river of Heyuan Brook in Xuanhe Town, there lies a well preserved ancient Hakka village called “Peitian Ancient Folk House”, which has an history of over 800 years. 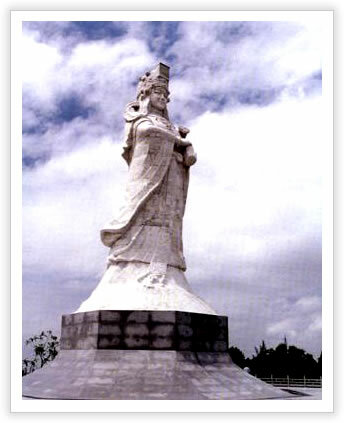 It formed between Ming Dynasty and Qing Dynasty. With a population of just over 1400, the ancient architectural complex consists of 30 grand mansions, 21 ancient ancestral temples, six ancient Chinese schools, two memorial arches and a 1000-meter-long ancient street of cobblestones and two rivers which run through the village. Each building is besprinkled with marvelous basso-relievoes, couplets, plaques and stone sculptures, all are exquisite in workmanship. Peitian folk house building mass represented by “Scholar-bureaucrat Residence”, “Yanqing Hall” and “Official Hall”. Baskets, which are used to contain paddy grains, are hanging on the roof of guest hall, making it a unique scene. The unique layout and exquisite design of “Official Hall” earn a beautiful name of “Nine Official Halls and Eighteen Wells”, which covers an area of some 6900 square meters. The villagers hold a unique belief of “worship ancestors other than believe in Bodhisattva”, they believe ancestors are the most powerful men to bless and protect them. Portraits or photos of ancestors were placed in every hall. Architecture experts and historians from all over the world praised highly of these architectures, which are believed to be a miracle in human’s history of architecture as well as a legacy of world’s culture. 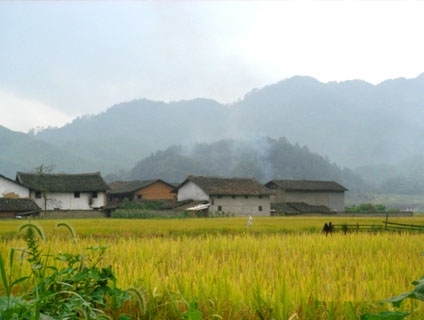 In 2005, Peitian village was awarded “National Historical and Cultural Village” in China. Peitian Village, a xanadu with marvelous architectures, has become a must see place of interest in Fujian. Go around: Take coach at Longyan to Pengkou, and it will take you 2 hours to get there and the fare is 19 RMB, and then take another vehicle to Peitian and it will take you half an hour to get there, the fare is 3 RMB. If you set off at Liancheng you’d better take coach at the old station. Hakka: a member of a people of southeastern China (especially Hong Kong, Canton, and Taiwan) who migrated from the north in the 12th century.